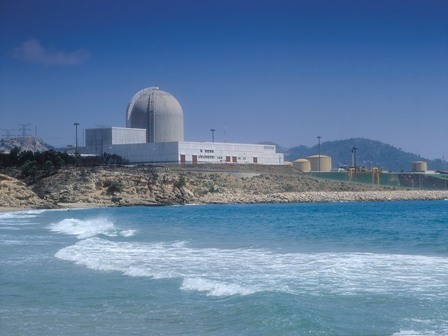 Spanish nuclear safety regulators have approved ten more years of operation for unit 2 of the Vandellós power plant near Tarragona in north-eastern Spain. However, the government will have the final say on renewal of the reactor's operating licence. The Nuclear Safety Council (Consejo de Seguridad Nuclear, CSN) announced on 22 June that it had sent its report approving the extended operation of the unit to the Ministry of Industry Tourism and Commerce. The CSN said that its decision was based on 'checking the proper functioning of the plant and maintenance of an adequate level of security to continue its operation and establishing that the plant has the capability to meet regulatory requirements more demanding than those required by current regulations.' It also said that it had verified that the plant owners - Endesa (72%) and Iberdrola (28%) - had kept commitments made at the last extension in 2000. The CSN has compiled 44 'specialized technical reports' on the status of the plant and carried out 307 inspections. In approving the unit's continued operation, the CSN imposed eleven restrictions and conditions. If the license extension is approved by ministers, Vandellós managers would be required to make a number of changes to the plant during the next ten years. They would need to implement within two years a design modification in the fire protection system and strengthen the flood protection of certain areas of the plant. The restriction and conditions are accompanied by 15 additional technical instructions, which were identified during the assessment process. These develop permit conditions and require additional actions by the owner in areas such as improving the plant's operating experience and equipment performance, a probabilistic safety assessment, control unit configuration and shutdown control panels. The CSN also requires modifications to the filtration systems, security systems, lightning protection and emergency diesel generators. Vandellós unit 2 - a 1045 MWe pressurized water reactor - began commercial operation in 1988. The unit's previous operating licence expired on 26 July. Unit 1 of Vandellós, a 480 MWe gas-graphite reactor, was closed down in mid-1990 after 18 years operation, due to a turbine fire which made the plant uneconomic to repair. In July last year the Garoña nuclear power plant was given regulatory approval to operate until June 2019 but ministers only granted an operating license to 2013. This was called an 'arbitrary act without justification in law' by Garoña owner Nuclenor. Earlier this month, the operating licence of the two-unit Almaraz nuclear power plant in the Cáceres province of western Spain was renewed for a further ten years following governmental approval.